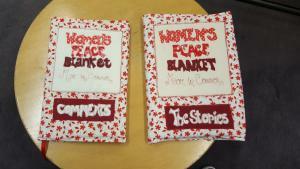 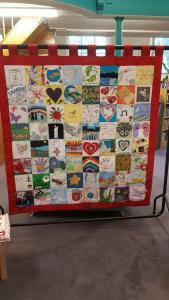 At the moment, Batley Library is very proud to be hosting The Women’s Peace Blanket, a piece of art inspired by the life of Batley and Spen MP Jo Cox, who was killed in 2016. 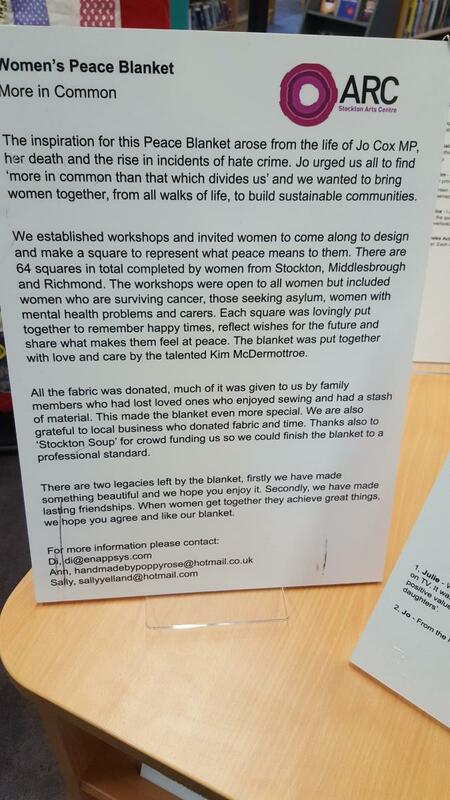 The blanket is the creation of artist Di Hewitt and was put together by women, mainly in the Stockton area. 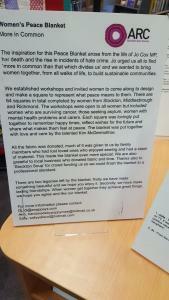 The aim was to bring women from different communities together to create something beautiful. 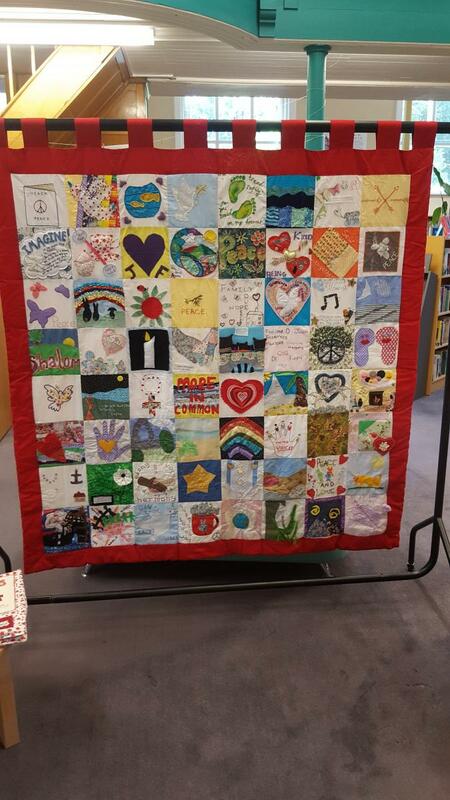 It’s display in Batley Library is the first time that the blanket has been on display outside of Stockton and we are honoured to have it.